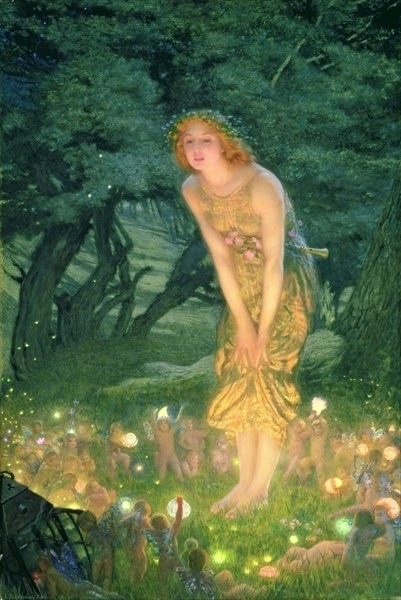 Today....June 24th is International Fairy Day! Fairy Day is a holiday sprung from the imagination of a fairy artist and believer, and brought to life with the help of many of her talented friends and fellow fairy lovers. With the world enjoying a surge of interest in all things fairy, we feel that now is the perfect time to introduce a yearly holiday to celebrate the fae. This holiday is for everyone who believes in the magic of fairy tales. It is for those imaginative souls who dare to dream impossible dreams. It is for the children of the world, wide eyed and open to the magic that surrounds them. It is for adults too, who long to capture a bit of that magic they remember from their own childhood.